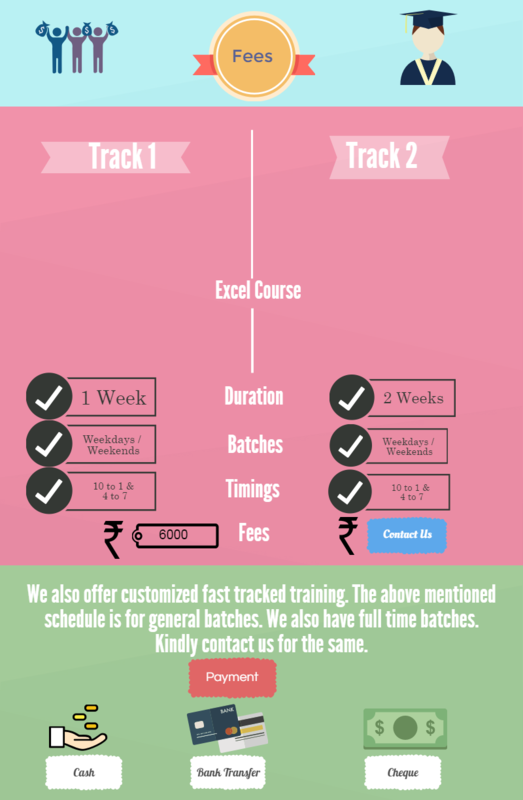 Who can attend Excel Training in Chennai? Microsoft Excel is a spreadsheet program included in the Microsoft Office suite of applications. Spreadsheets present tables of values arranged in rows and columns that can be manipulated mathematically using both basic and complex arithmetic operations and functions. 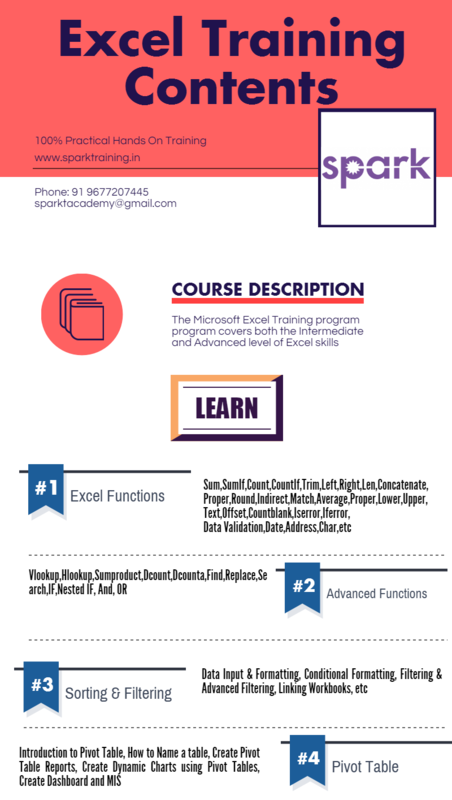 Spark’s excel training in chennai is conducted by experienced industry leaders. In addition to its standard spreadsheet features, Excel also offers programming support via Microsoft’s Visual Basic for Applications (VBA), the ability to access data from external sources via Microsoft’s Dynamic Data Exchange (DDE), and extensive graphing and charting capabilities. Performing basic mathematical operations such as summing columns and rows of figures. Finding values such as profit or loss. Calculating repayment plans for loans or mortgages. Graphing or charting data to assist users in identifying data trends. Sorting and filtering data to find specific information.